These skulls are the next best thing to a natural bone specimen. 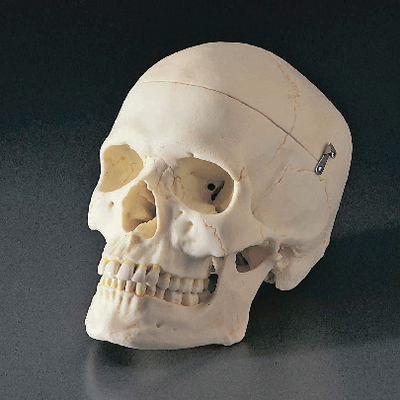 For skull reproductions that are detailed enough to use in advanced medical and dental studies, look no further than this durable plastic model. The exceptional surface detail clearly shows all structures including the foramina and well-defined teeth. It also features a sectioned, removable calvarium and hinged jaw. Both male and female versions are available; compare them to note the reduced brow ridges of the female skull. The life-size skulls are cast from dimensionally stable plastic that resists warping or cracking.